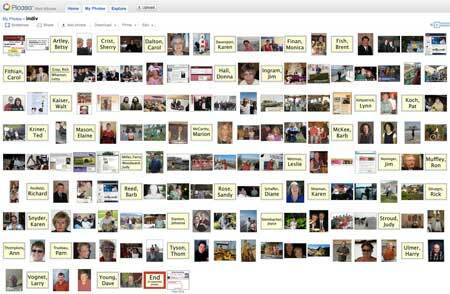 There is a second Picasa photo album, containing mainly Facebook photos. Classmates have requested this album to be PRIVATE. You should already have the link, if you're in the Loyalsock1966 Yahoo group or in the Facebook group. If you don't have the link, contact a classmate who does, or one of the reunion committee listed on page 2. Below is a "screen capture" of the thumbnails in the album.